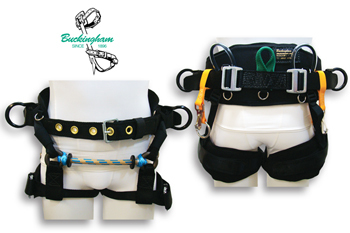 The BuckCat is the newest rope bridge lightweight saddle from Buckingham and developed for the professional Arborist. It offers the perfect combination of comfort, adjustability, versatility and safety! Ability to change the length of suspension bridge with a bridge adjustment strap. Ability to replace the suspension bridge. Moisture wicking Dri-lex for comfortable and cool performance.